The University Grants Commission (UGC) has given priority to the downtrodden students and staffs during IX plan period and given direction to all the universities to establish SC/ST Cell. The SC/ST Cell at Kakatiya University was constituted in the year 1985. The SC/ST Cell is giving wide publicity through circulars to all the faculties and informs the students about the various scholarships; namely, Post-Metric Scholarship, Meritorious Scholarship, P.G. Women Scholarship, Rajiv Gandhi National Fellowship, P.G. Scholarship for professional courses, ICMR, CSIR, ICSSR and other scholarships, and fellowships. The SC/ST Cell is also helping the SC/ST Research Scholars in getting the University Fellowship from the university and the government. The University is providing statistical information periodically and promptly on all aspects to the Government of India, and the State Government. Coaching classes for TSPSC,UPSC Examinations under entry into services. Birth day celebrations of Dr. B.R. 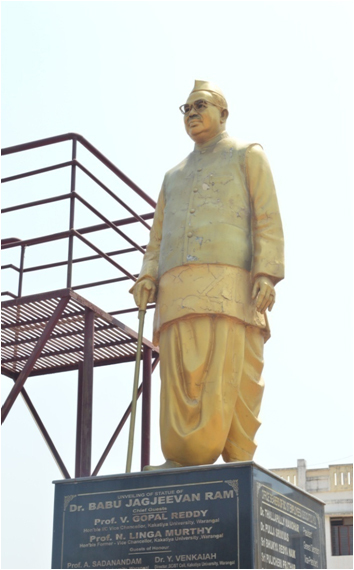 Ambedhkar and Dr.Babu Jagjeevan Ram. Santh Shri Seva Lal Mahraj. Dr. B.R. 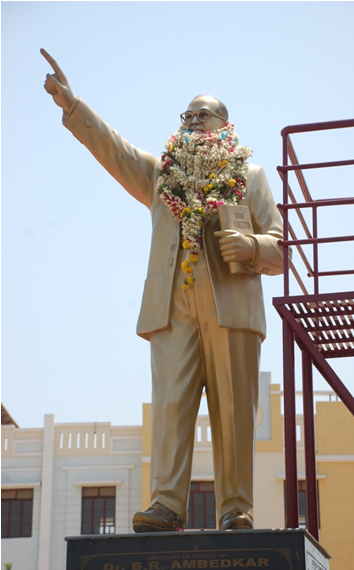 Ambedhkar Memorial Day on 6th December in every year. Warangal (II) Research Methodology Psychology. 05 M. Sudhakar Rao (V) Reasoning Including Mathematical. IELTS & TOFFL - Trainer (III) Reading Comprehension. 09 M. Rajendra Prasad (VIII) Information and Communication Technology. 10 P. Ramesh (VII) Data Interpretation. Email : munjam8@yahoo.co.in	Mobile: 9849574166.